MMMMM. In MAISY MAKES LEMONADE, it’s a hot day, and Maisy is having a nice cold drink. 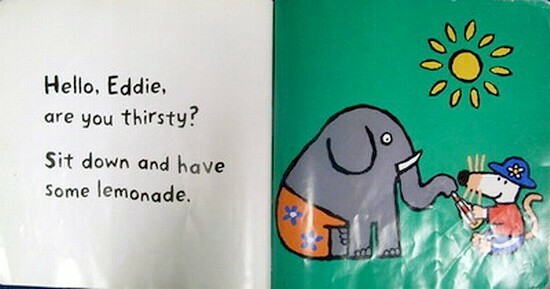 Eddie is hot, too, but it takes a lot of lemonade to satisfy this thirsty friend. 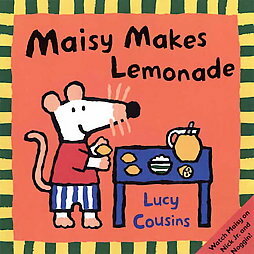 Not to worry - Maisy goes out to the garden and, with a boost from Eddie, picks some fresh lemons. Together they stir in some water and sugar, and there! A pitcher of refreshing lemonade. Now she just needs to go get some cups - but what is that slurping noise? 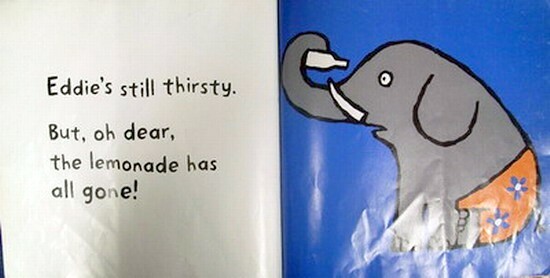 Good thing they made enough for an elephant! 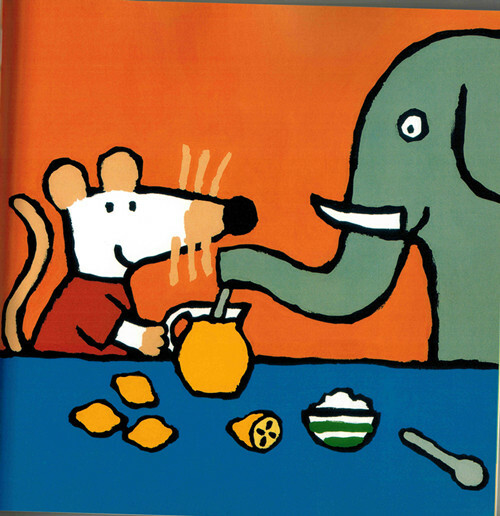 If you are the parent of a young child, you probably know who Maisy is. She's a mouse with a duck, a squirrel, an elephant, and a crocodile for friends. Why the crocodile isn't trying to eat the others is beyond me, but that's life in Maisy's world. 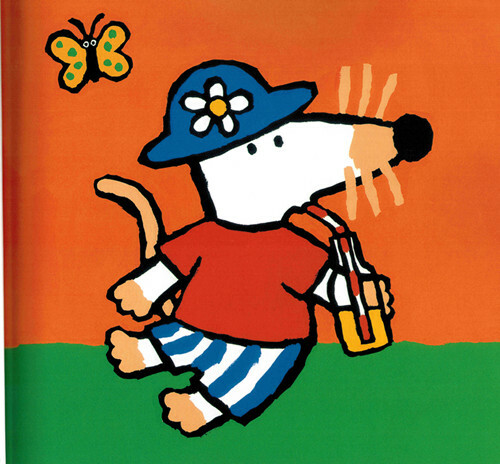 Both of my daughters love the Maisy books; there's something about their simple stories and colorful pictures that even appeals to adults. The books are short and easy to read. 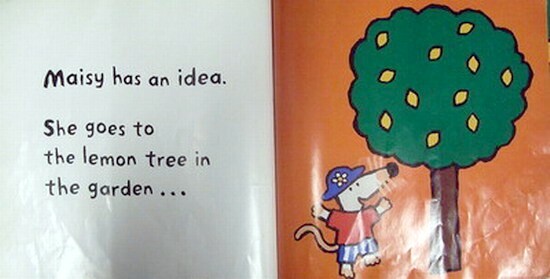 But, the stories are never obnoxiously simplistic, like so many other books for small children. Maisy's enjoying a cool drink when Eddie decides to slurp it all up. 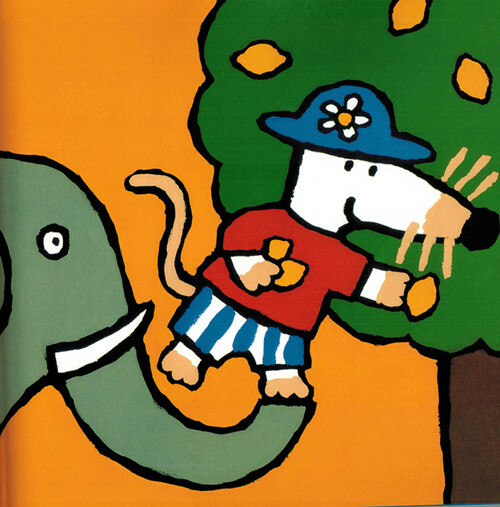 What will Maisy and Eddie do? I guess I've read enough of these to my children that I'm developing favorites. This is one I always seem to enjoy reading to the kids and, as usual, they love it too.